Make your Hug Day wishes interesting and romantic by writing the name of your loved one on happy hug day images. 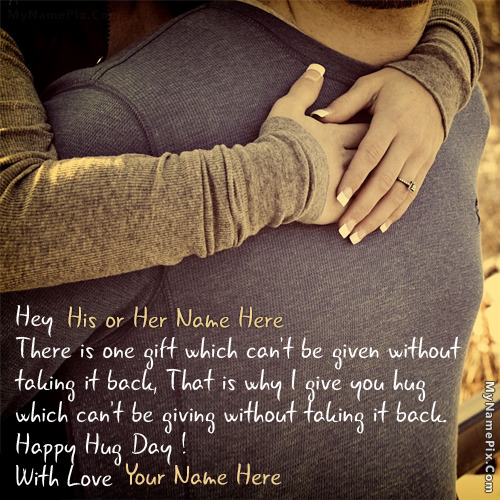 By using our tool you can place your and your loved one name on romantic hug day image with quotes. You will find many couple images here.